Brussels Sprouts Long Island Brassica Oleracea is a heirloom, semi-upright, compact, two feet tall, vegetable plant with dark-green, tight 1 1/2 inch heads. Brussels Sprouts Long Island seeds can be started indoors in spring. The seeds are sown in flats or individual peat pots and covered with 1/8 inch fine soil. For an early crop start Brassica Oleracea seeds indoors in earliest spring, and for a later fall-winter crop, sow the seeds directly outdoors or start indoors by midsummer. Brassica Oleracea seeds can be sown directly in the garden 3-4 months before the first frost in the fall. The Brussels Sprouts plants have to be set 18 inches apart. Brussels Sprouts Long Island Brassica Oleracea has miniature, cabbage-like heads that are tasty and nutritious, and a lot of firm sprouts are produced over an extended season. Brussels Sprouts Long Island is a great vegetable that has a lot of culinary uses - it can be steamed, stir-fried, cooked with other vegetables, or used as an addition to any meat or salad dish. 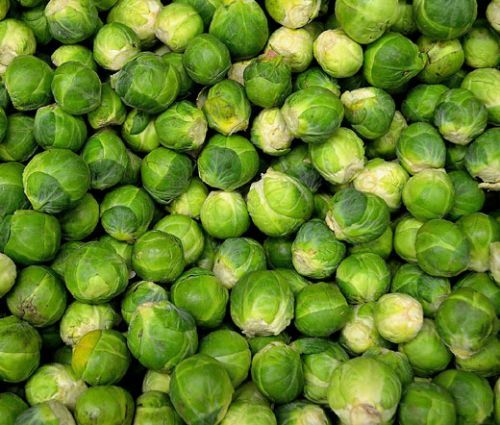 Brussel Sprouts is one of the best vegetables for freezing.